In recent months, an informal debate on economics has been taking place over the Internet among Catholics. 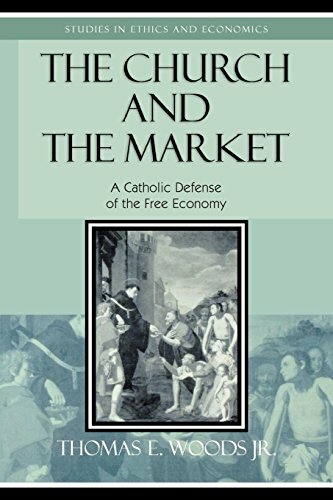 The question, simply put, has been whether the free market is or is not in conformity with Catholic principles. Having already weighed in on this matter at considerable length in “Catholic Social Teaching and Economic Law: An Unresolved Tension,” I will limit myself to a few basic points. There are some Catholic conservatives who seem to think they are striking a blow for traditional Catholicism and against liberalism and the Enlightenment by opposing the free market and favoring some alternative — usually the so-called “distributism” of G.K. Chesterton and Hilaire Belloc, according to which that social system is best in which productive property is widely dispersed rather than concentrated. These two figures rightly enjoy great renown throughout the Catholic world for their outstanding writing on a variety of subjects, though of course they had no formal training in economics. 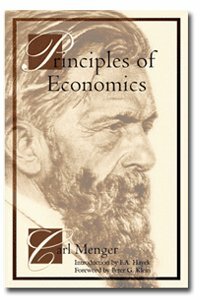 In 1871, Carl Menger had written his Principles of Economics, a work of profound genius that essentially launched the Austrian School of economics, but relatively few Catholics who spoke on the so-called “social question” made a serious attempt to reckon with it, or indeed were even aware of it. Those who have written on distributism in recent months appear to share in this ignorance, never once citing even a single economics text — as if a discipline that is devoted to the application of human reason to the problems of scarcity in the world could actually in itself be antagonistic to the Catholic faith. Suppose, moreover, that “distributism” had been in effect as the Industrial Revolution was developing in Britain in the late 18th century. We would have heard ceaseless laments regarding the increasing concentration of economic power and the dramatic growth in the number people working for wages. What we probably wouldn’t have heard about was the actual condition of those people who were seeking employment in the factories. They weren’t lucky enough to be able to make a profitable living in agriculture, and their families had not provided them with the tools necessary to enter an independent trade and operate one of the small shops that delight the distributist. Had they not had the opportunity to work for a wage, therefore, they and their families would simply have starved. It is as simple as that. Capitalism, and not distributism, literally saved these people from utter destitution and made possible the enormous growth in population, in life expectancy, in health, and in living standards more generally that England experienced at the time and which later spread to western Europe at large. In a book correcting the leftist biases in older histories of the Industrial Revolution, Nobel laureate F.A. Hayek amplified this point. Distributism, in such a context, would have spelled certain doom for the proletariat it claims to defend. Now even a distributist would not deny — since he cannot — that it is morally licit for a man to want to improve his position, both for his own sake and for that of his family. Moreover, the restoration of Catholicism amid its present difficulties is certainly going to require the assistance of men of wealth to endow colleges and other salutary endeavors, and that wealth will have to be acquired somehow. But without a “profit motive,” there is no way to be sure that this morally legitimate desire to improve one’s lot and provide for his family is pursued in a way that benefits society as a whole rather than simply himself. A small industry has arisen over the years devoted to poking fun at Adam Smith’s “invisible hand,” the image by which Smith sought to describe the salutary process by which each man’s desire to improve his condition benefits those around him as well; and some moralists have argued that the fact that the baker bakes his bread not out of universal benevolence but out of a desire for profit is so much the worse for him from a moral point of view. But there are only two options here: either man can pursue his ends without regard for the needs and wishes of his fellow man, or he can act with regard to those needs. There is no third option. By seeking to “maximize profits” — a motivation that is routinely treated as a terrible scourge on civilization — man ensures that his talents and resources are directed toward areas in which his fellow man has indicated the most urgent need. In other words, the price system, and the system of profit and loss that follows from it, forces him to plan his activity in conformity with the expressed needs of society and in the interest of a genuine stewardship of the things of the earth. This is how a rational and civilized society ensures that its resources are apportioned not according to some arbitrary blueprint but according to the needs of the people. Profit signals, then, make for peaceful social cooperation and the most efficient use of scarce resources. Without them, as Mises showed in his classic essay on the impossibility of economic calculation under socialism, civilization literally reverts to barbarism. Moreover, no Catholic would deny that a life of pure self-indulgence is morally inferior to one in which one’s wealth is put to lasting and productive use. But even to raise this point is to distract attention from the real issue. It should be obvious that to acknowledge a “profit motive” is not to say that people should think only about money, or that money is more important than God, or any other such nonsense. “The immense majority strives after a greater and better supply of food, clothes, homes, and other material amenities. In calling a rise in the masses’ standard of living progress and improvement, economists do not espouse a mean materialism. They simply establish the fact that people are motivated by the urge to improve the material conditions of their existence. They judge policies from the point of view of the aims men want to attain. He who disdains the fall in infant mortality and the gradual disappearance of famines and plagues may cast the first stone upon the materialism of the economists” (emphasis added). The point is, since we know that man has perfectly valid reasons for seeking the highest return on his investment, or earning the highest wage, instead of wasting time on foolish and irrelevant lamentations regarding the greedy people in the world — a matter of moral philosophy rather than economics — we ought to employ human reason to learn how this perfectly moral desire for gain redounds to society’s benefit by ensuring that people produce what society urgently needs rather than more of something that society already enjoys in abundance. Stated this way, the profit-and-loss system of an economy based on the division of labor, an indispensable institution of civilized society, suddenly appears not only profoundly moral but actually obligatory, which is probably why opponents of capitalism never do state it this way. If the engine of the enormous improvement in living standards that everyone in the developed world has enjoyed these past two centuries is not to be ground to a halt, it is essential that we understand the mechanisms that have made it possible. 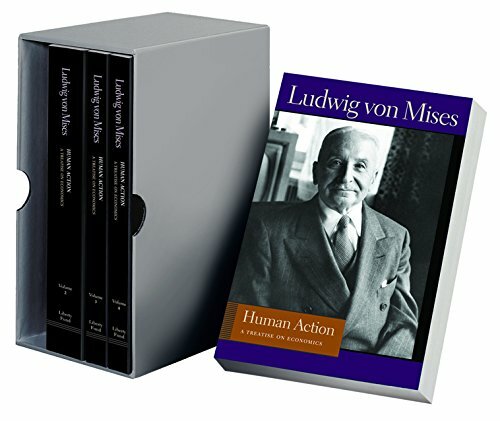 Such an appreciation of these indispensable aspects of the free economy is altogether absent from most exponents of distributism — who, in their eagerness to caricature the market as the site of ceaseless “exploitation” and greed, consistently neglect to acknowledge its achievements and virtues. The popes have repeatedly observed that it is more difficult for a man to increase in virtue and to save his soul when living in utter destitution, so one would expect present-day Catholics to appreciate the value of a system that has made possible the greatest explosion of wealth the world has ever seen — including stunning increases in life expectancy, caloric intake, housing quality, education, literacy, and countless other good things, as well as dramatic decreases in infant mortality, famine, and disease. And contrary to what the propagandists assert, nothing could be more obvious than the fact that the benefits of capitalism have overwhelmingly benefited the poor. In other words, what would most impress our visitor are the aspects of Gates’s life that the software giant shares with ordinary Americans. When you consider the differences that characterized rich and poor prior to the Industrial Revolution, on the other hand, the “capitalism-promotes-inequality” myth is further exposed as the ignorant canard that it is. 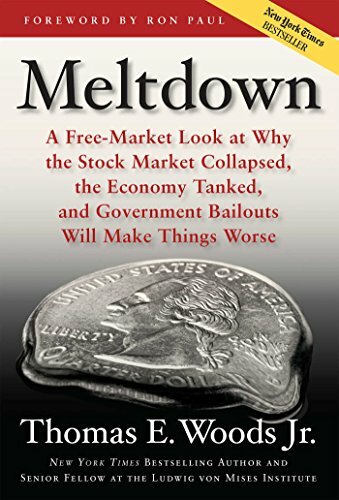 Lurking beneath all this criticism of the market is a navet regarding the state that almost defies belief coming from a serious Catholic. 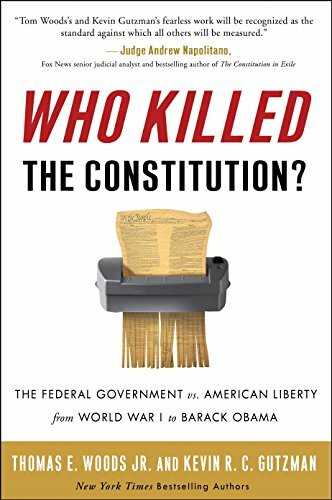 The current federal apparatus, whether occupied by Republicans or Democrats, can hardly be anything but anathema to anyone with conservative sensibilities, Catholic or not. Private corporations, even the largest among them, can go bankrupt — as did Kmart not long ago, which no doubt gave the critics of chain stores their share of satisfaction. But there is little prospect of the American government going out of business. Even supposing economic regulation to be a good idea, the suggestion that the present regime ought to be given still more power, or that such power would not certainly be abused (might campaign supporters find their businesses mysteriously immune from prosecution? ), really requires much greater justification than it has thus far been given. Say what you will about Home Depot, but it is not responsible for confiscating 40 percent of my income for purposes I find morally repugnant; neither does it wage aggressive war on Third World nations or oversee an educational system that produces dumbed-down “multicultural” idiots. That anyone would want to give this creature still more power, for any reason, suggests a profound lack of prudence, judgment, and good sense. In his outstanding history of economic thought, Murray Rothbard went to great lengths to highlight the contributions of the Spanish scholastics, whose critical insights on a variety of crucial economic subjects Catholics might well consider a source of pride. But since these writers came down so often on the side of economic freedom, distributists treat the Spanish scholastics like the family’s crazy old uncle that you hope your friends never find out about. This is the real shame, since here were theologians who both set forth moral principles and sought to understand the mechanisms they were discussing. More recent papal encyclicals, such as Pope John Paul II’s Centesimus Annus, have likewise begun to reflect an understanding of the role of prices, entrepreneurship, and various other aspects of the market economy, thereby acknowledging what educated people around the world have themselves begun to see. Only through a genuine understanding of the mechanisms of the free economy, rather than through caricatures of them, can the moral dimension of economics be sensibly discussed.